The cutest thing ever, right?! An essential oil inhaler… also known as an aromatherapy inhaler! We discovered these a few months ago, and I think they're so fun. Plus, they work great! 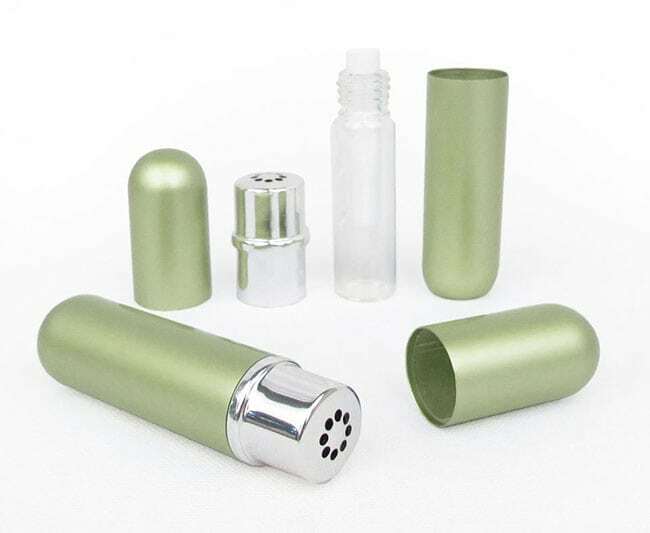 An essential oil inhaler contains a little tube (preferably glass), inside of which is a cloth or absorbent pad saturated with essential oils. When the outer lid is on, the aromas are trapped inside. Remove the outer lid and hold the inhaler close to your nose and voila! You now have the power of essential oil aroma at your fingertips. Although these inhalers have tons of applications, I currently keep two types on hand on my desk or in my purse. The other type of inhaler I keep around? It's filled with whatever essential oil or blend of oils I'm enjoying or needing at the moment that makes me feel good, like peppermint or lemon. I smell it to brighten any kind of lousy feeling, whether physical or mental. Essential oils are so potent. Even their aromas can have profound impacts on physical or emotional symptoms! I'm sharing how to make an essential oil inhaler for seasonal allergies! 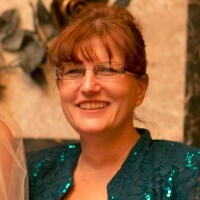 However, feel free to fill your inhaler up with any favorite oil or blend of oil, and use it for any purpose you'd like! Disassemble the inhaler (glass tube, outer tube, inner lid, outer lid, cotton pad). Put essential oils in a small glass bowl. Dip the cotton pad in the bowl to absorb the oils. Put the pad inside the glass tube of the inhaler. Finally, re-assemble the inhaler, finishing by capping it with the outer lid until needed. To use: remove outer lid and bring close to your nose. Inhale as needed. By the way, I recommend essential oils from these two high-quality sources: Rocky Mountain Oils or Aroma Foundry. My daughter Haniya and I vetted lots of inhalers before landing on this set. The tube inside that contains the essential oil is glass, which is very important so there's no reaction between the oil and the container. (Others are plastic… ick.) We like the colors, and they're affordable. 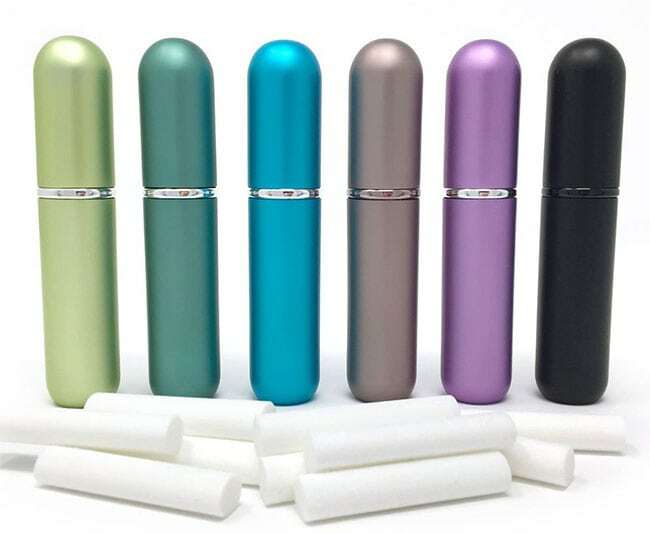 Go here to see the inhalers we recommend. Remember, always choose high-quality oils, such as the oils from our recommended sources, Rocky Mountain Oils and Aroma Foundry. They're top-notch and affordable. 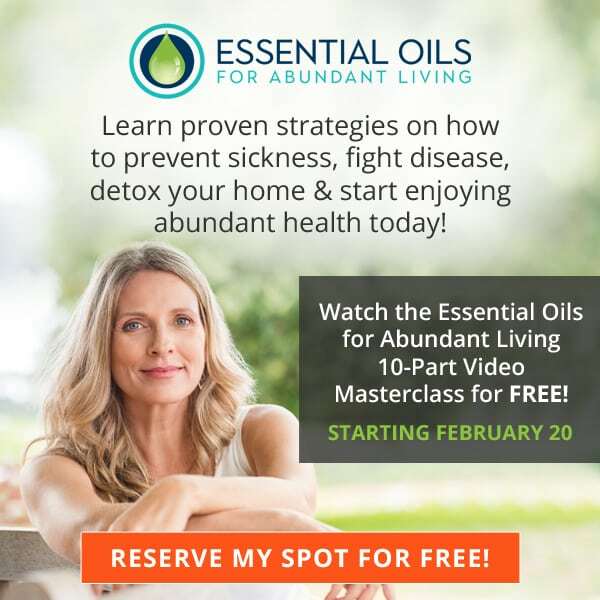 I've been given the green light to invite you to a free 10-part video class on essential oils put on by my good friends Dr. Eric Z and his wife Sabrina. It's coming up soon, so register now right here. In this video series — “Essential Oils For Abundant Living” — they're sharing tips and information for making healing remedies for your body and non-toxic natural recipes for your home… all with essential oils! Click here to save your seat! It's FREE! Hurry, it starts soon! 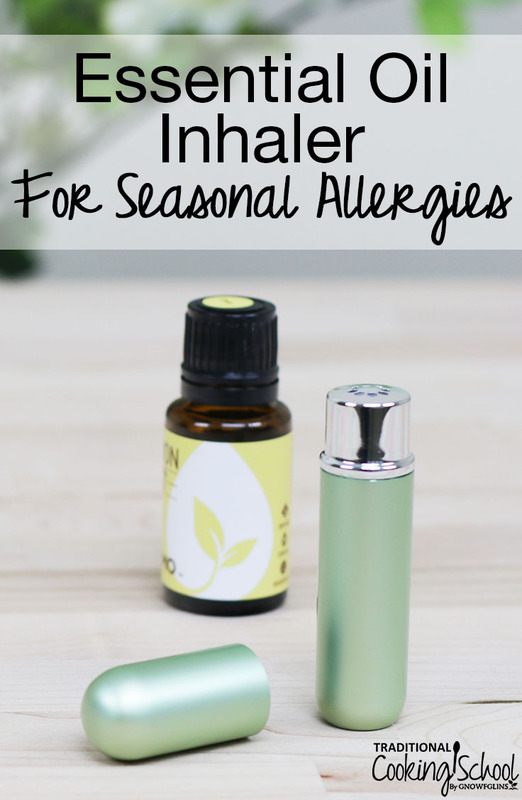 Have you ever used an aromatherapy or essential oil inhaler for seasonal allergies? Will you give it a try? How long does the scent last on the cloth? Plant Therapy is also a reputable & affordable source for oils.